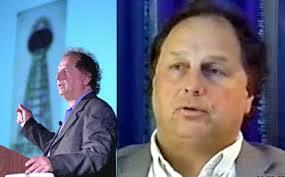 5/6/14 Meria Interviews Physicist and Mathematician James McCanney M.S. The Electric Universe and how it really works and affects us; sleepless night? Meteor storm;the Sun controls our climate; Obama is not president he’s middle management; the bankers control the world; climate change or climate control? does the Sun turn off at night? What happens if it turns off altogether? long term climate change -absurd;global cooling is more like it;weather is being controlled and steered; recent “storms”; Katrina; Sun’s heat comes from fusion at it’s surface and the energy is variable;HAARP & chemtrails are real; his work in Russia in the 90’s; laser satellites and how they are used for weather warfare;controlling water – control everything;Was California’s water blocked? Peak oil and fossil fuel theories are absurd;oil is not finite; the human body as an antenna in a vertical electrical field;Oklahoma earthquakes manmade;Gates-Clinton-New Orleans;President elections are a dog and pony show; the hierarchy of control; “action at a distance” is all it took for the global flood; comets and comet tails; be prepared for anything and nothing; and lots more. No advertising, government or corporate funding (or control). Just your subscription which gives you access to entire site 24/7. 12 Responses to "Meria with James M.McCanney, M.S. The Electric Universe"
What a great show Meria. I have posted a link to the show especially for all of us, that dealt with the weather we experienced this winter. I would nominate this show for the free show link. Thanks to you and James McCanney for a wonderful and informative show. It will be, and it will also go to TPV. James would like to be a regular on the show, and I’m all for it. Sounds like you are too. Meria,what an awesome show with James! It would be fantastic if you had him on as a regular. What an excellent show! It would be wonderful if James would join the ranks of your other fabulous “Regulars”! Your guest was so completely in alignment with everything you and other of your guests have been telling us for 14+ years. However, he layered on some scientific information I hadn’t heard before, which was extremely interesting. he’ll be back in June. I had never heard the whole story about how the Jesuits came into power. James’s explanation was clear and concise, but I didn’t expect to hear this from a physicist/mathematician! Thanks for another great show! He’ll be back June 3. Eric Jon Phelps has a lot on the Jesuits too, check the archives.